If you have used a device running Stock Android, you know that it comes with one of the best Android dialer apps ever made. I mean, there aren’t any fancy features or anything, but everything works smooth. However, not many Android device manufacturers are skilled-enough to keep such a UI intact. Don’t worry, we have a nice solution. It’s not about bringing the stock Android phone app back or anything. 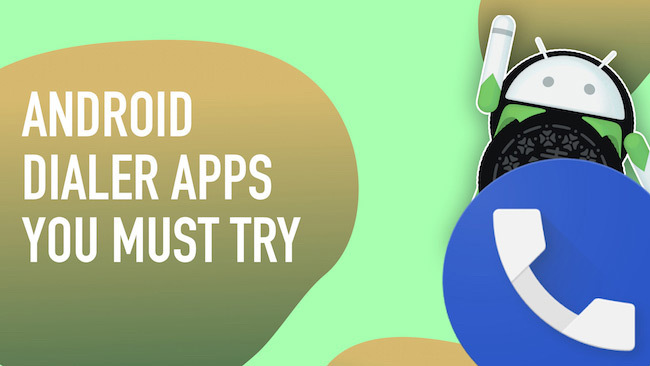 But, here, we have created a list of the 12 immensely best dialer apps for Android smartphone users. ExDialer is one best dialer app for Android for sure. It brings back the utter simplicity of stock Android dialer while including some extra features. If your OEM-based dialer is pretty mixed up and hard to manage, you can give ExDialer a try. You can see the call log with enough details like number, time and duration and the dial-pad can be minimized as well. 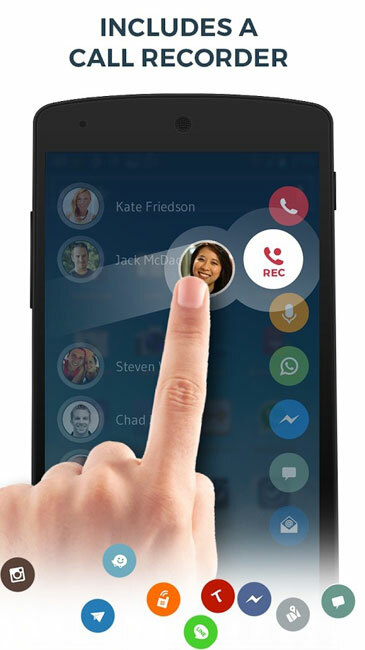 In-built gestures for one-touch calling and messaging. Option to enable vibration when you connect or disconnect calls. Availability of Themes and Plugins like GeoCoder, which shows geographical information of number. Simpler Dialer offers exactly what you think it offers from the name. 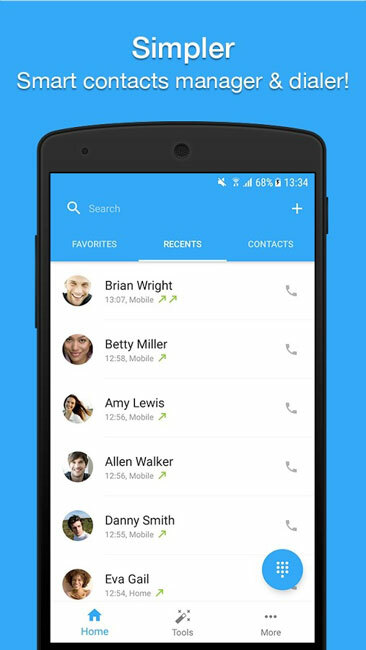 It’s an ultra-simple Android dialer app, noted for the tabbed structure and useful features. It packs almost every feature you might find in a typical dialer app, but the UI steals the show. If you need a productive dialer app with most features, you can go for Simpler Dialer. Call blocking and Group Texting. Impressive contact management, merging, syncing and duplicate finding. Offline and online Contacts Backup. Smart T9 Dialer and Smart Clean-up options. 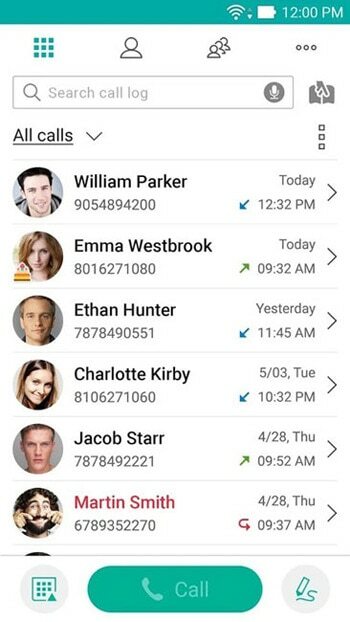 Used by thousands of people, RocketDial Dialer is a regularly-updated dialer app for Android out there. It is packed with a minimalistic, dark design that’s easy to navigate. The clean interface is suitable for almost all the brand UIs you may be using. It packs some superb features, useful for organization and quick access. If you are looking for a feature-rich Android dialer. Caller ID and In-Call Note taking. T9 Search and Call Confirmation. Contacts+ can be an awesome alternative to the OEM-based dialer you already have. This app has included some cool features like contact management, merging and duplicate finding. You can also customize the way it shows your contacts and call logs, in the most convenient way. It also works as a platform where you will be able to connect with your friends and other people. Offers protection for your stored contacts, via encryption and beyond. In-built Caller ID and Call Blocking engines. Deep integration with apps like WhatsApp, Messenger, Duo etc. Android Wear support and customizability. 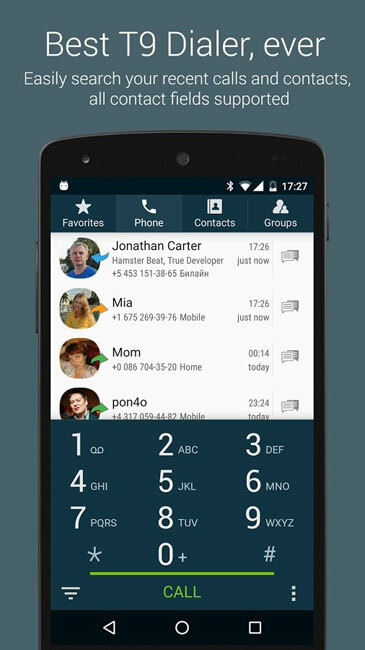 Drupe is a different kind of Android dialer app that gets the job done. It’s available in multiple languages and offers a lot of features to go with. As far as the design is concerned, Drupe keeps everything simple. 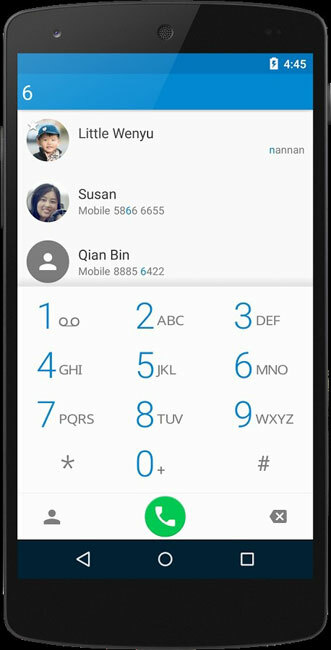 Opening the dialer app will show you contact information as an overlay, such as Favourites and the Dialer. You can launch Drupe by dragging the drops that you see on screen. Caller ID Tracker to find the identity of incoming numbers. Option to set GIF Stickers for contacts, which will be shown while calling. Multiple account integration for WhatsApp, Duo, Allo and more. As you can guess, ZenUI Dialer is from ASUS and is included as the default dialer for ASUS devices. If you are looking for a simple yet productive Android dialer app alternative, it’s a good choice. The dialer gives better importance of organizing your call logs and contacts for easy access. Also, the UI goes in sync with almost all types of skins you might be using, regardless of the brand and UI. Inbuilt feature for blocking unwanted calls. Password-protection for contact list and call logs. Contact management features like merging and duplicate finding. Availability of themes and customization. 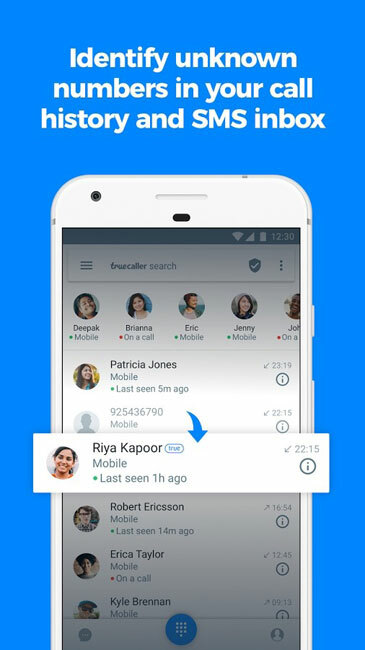 As you know, Truecaller: Caller ID & Dialer is at the same time a dialer and a caller ID app. As an app, it does the job pretty well, especially when it comes to organizing the details. It’s a matter of extra convenience that you can easily understand who has called you, right from the Calling Screen or Call Log list. It’s also bringing some changes to the call screen, where you can get sufficient information and controls. It’s quite easy to set up too. The best dialer app for Android in the feature-rich category. Option to block spam calls as well as telemarketing calls. Find details about a number from the Call Log and when there is an incoming call. Call blocking, individual and series-based. Theme support and Dual SIM support. If you have a thing for the iOS Dialer app, you should definitely try OS9 Phone Dialer, which is a great choice from Google Play Store. The app basically is a replica of the iOS dialer app, letting you manage things using a few gestures. Compared to other dialers, it features a bigger dial-pad, which is convenient if you are familiar with T9 Search. Better integration with WhatsApp and other IM accounts. Call blocker and Caller ID hiding. Dual SIM management and Speed Dial. Huge and easy-to-use T9 Search-enabled dial-pad. One of the most feature-rich app in the list, Eyecon Dialer is actually another all-in-one app for phone management. Using it, you will be able to take care of your call logs, contacts and even enable Caller ID. 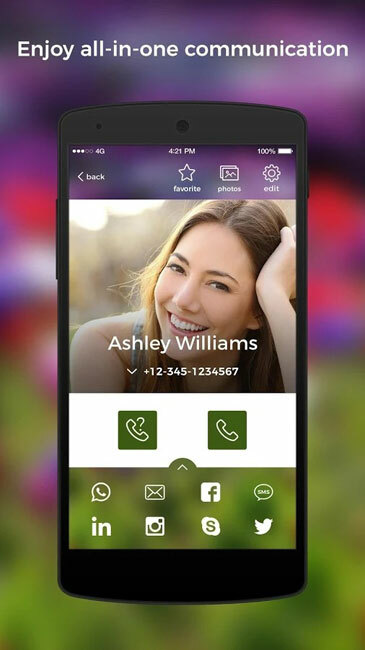 When compared to the other apps we have covered above, Eyecon Dialer is more visual-oriented. You can easily manage everything using icons and pictures, instead of reading a lot, which is great for elders as well. 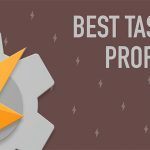 Integration with almost all the popular social media platforms. A visual-based design that’s easy to navigate through. Caller ID feature that keeps spams away. Ability to edit the global address book. Contakts Address Book is actually an all-in-one Android app for contact management. 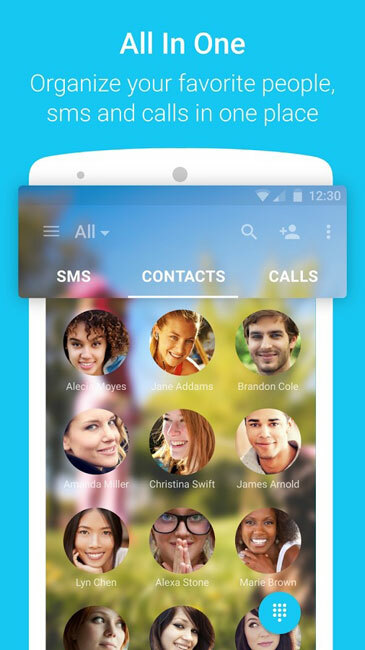 As a matter of fact, it also brings a beautiful and easy-to-use Android dialer. So, if you prefer having your contacts organized in an impressive manner, you should go for Contakts Address Book. Customization through a selection of themes, performance boosts etc. are some reasons why people prefer it to stock dialer. Integration with IMs like WhatsApp. State-of-the-art contact management and organization. You can sync contact information via Facebook as well. A minimal amount of ads. Metro Phone Dialer has a design that is inspired by Microsoft Metro apps. 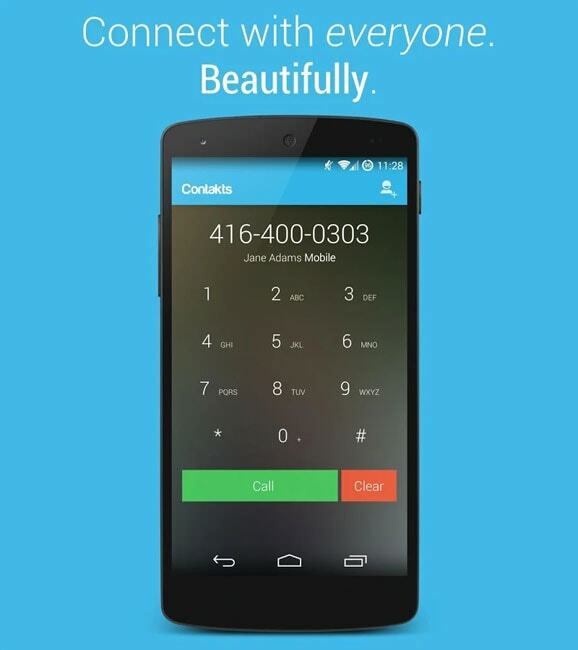 The app does a brilliant job when it comes to offering a quick-and-easy way of accessing your contacts via dialer. The whole interface has been classified into different categories, offering you particular views of your logs and contacts. The tab-based UI makes everything easy from the usability point of view. An elegant design of Metro UI, also suitable for Dark themes. Standard and advanced contact operations and management. True Phone Dialer is one of the most widely-used Android dialer apps you can find on Google Play Store. It’s having a 4.6 with around 100k installs, which is great. The dialer app employs a simple design technique that gives space for advanced features. When compared to the other dialers we’ve discussed above, True Phone Dialer offers better call-based features. Extended support for Dual SIM and Themes. Smart grouping of Recent Calls section. T9 Search and better navigation controls. 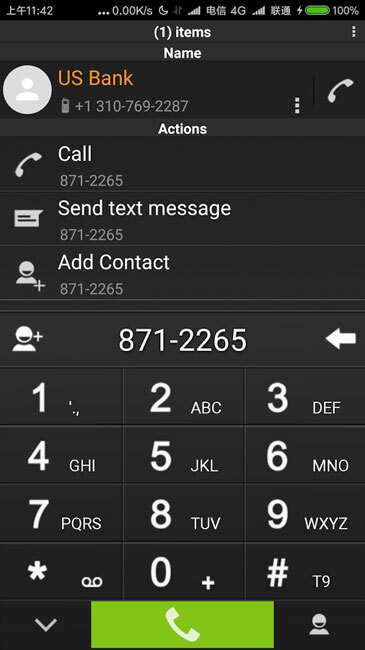 So, these are the 12 best Android dialler apps you can find today. Thinking from the usability point of view, each of them can make your call management easier than you expect. Which one of the best Android dialer apps do you prefer? Do let us know through your comments. Out of these 12 – True phone dialer. Hands down. Supports saving contacts to phone memory, dual sim, by default shows history & numpad, integrates well with my Moto g5 (android 7.0), doesn’t show ads all the time. Maybe not the most pleasing visually, but with some colours tweaking (also available in the app) – it’s far from ugly. ExDialer hasn’t been updated in over a year and Rocketdial and Contakts are no longer available.